← New York, New York. October 4th, 2013. Cordova, Tennessee. October 7th, 2013. Cordova resident Mansi Gadi says she is tired of looking out in her backyard and seeing MLGW road barrels. “Water comes in and with all this dirt and mud and everything … It drains all the way down and it comes on our patio,” said Gadi. 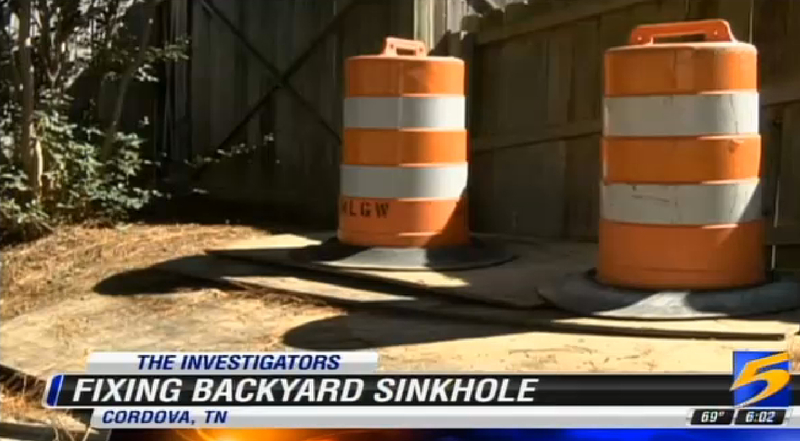 Just below the orange barrels sits a huge sinkhole. 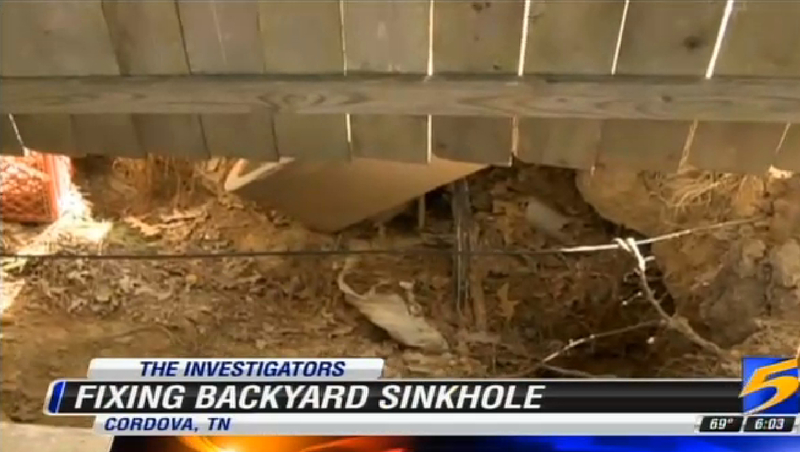 Gadi says the hole itself has been there since she moved in five years ago. But in the past year, it has gotten bigger and nothing is being done about it. “Last week, somebody from the city came and I was here. He just came and didn’t look and the size of the hole. He just said it’s the homeowners responsibility,” she said. On the other side of the fence is a box with wiring inside. Gadi’s been told that is a collapsed cable box. 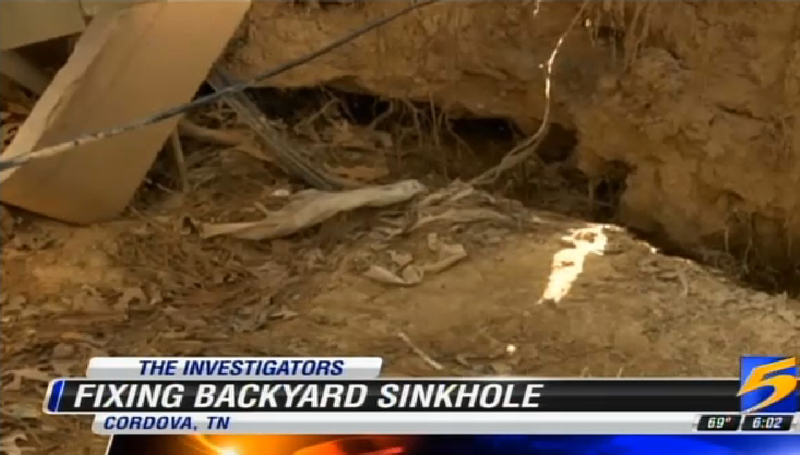 Other cables and wires are also dangling in the air in the middle of the huge hole. “We want somebody to address the issue because it can wash away our house at any point in time,” said Gadi. Gadi says she has also called MLGW. Crews came out earlier in the month. 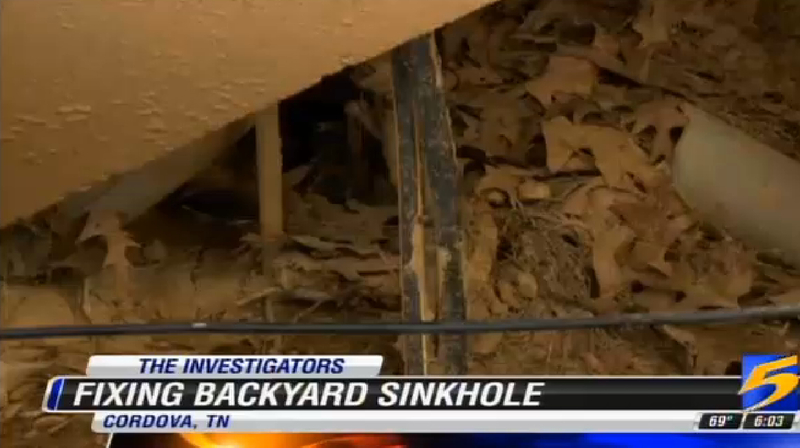 Gadi says she has been covering up the growing hole with wood. Whether it is the city or MLGW, she wants something done before she, her husband or their dog get hurt. 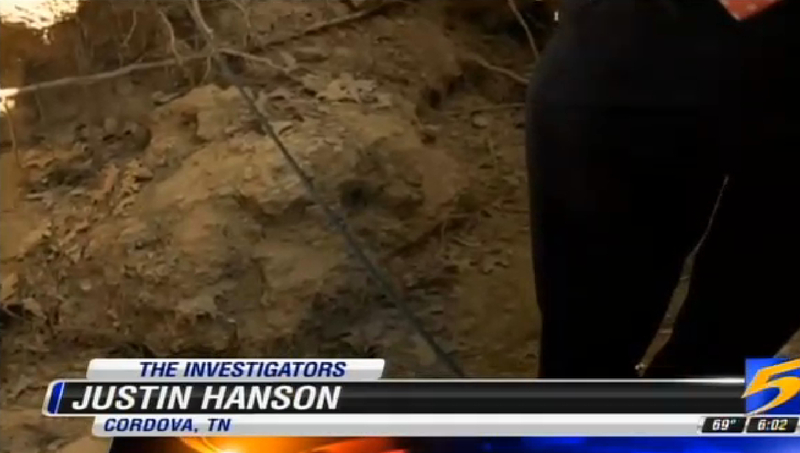 “All this soil erosion just happened. I want this to get fixed because it isn’t my fault. This was because of this so they should fix the whole issue,” said Gadi. After the Action News Five Investigators called MLGW, they say crews are scheduled to come out this Thursday and fill in the hole with gravel to try and stop the erosion. 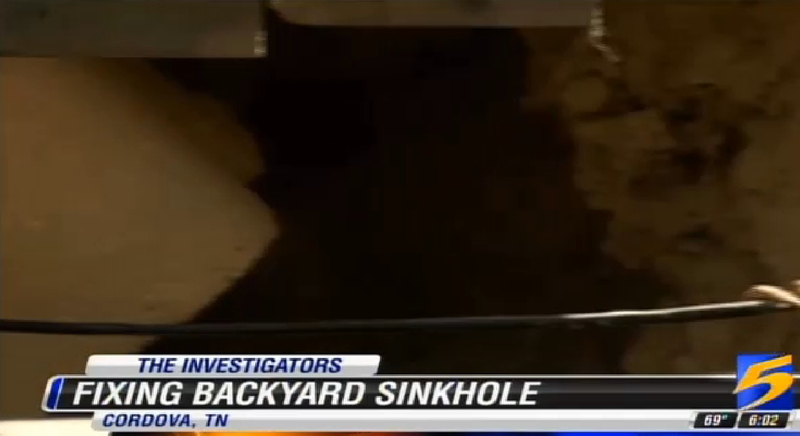 This entry was posted in Pictures and tagged Cordova, sinkhole, Tennessee. Bookmark the permalink.